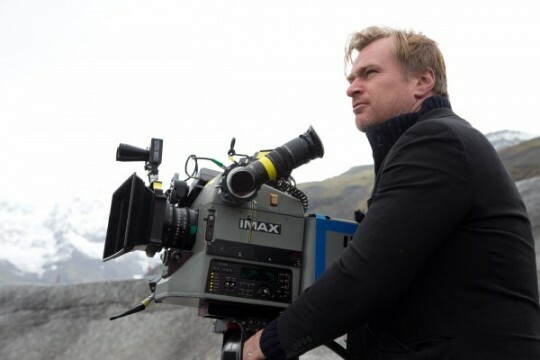 After Christopher Nolan’s sci-fi blockbuster Interstellar divided critics, the director went quiet as to his next movie, but now it’s been revealed that he’s actually been hard at work on a very different sort of project. As the helmer and his company Syncopy collaborate with Zeitgeist Films to oversee and curate Blu-Ray releases, one of the first titles to be announced was a compilation of shorts directed by acclaimed animation directors Stephen and Timothy Quay. And now, it’s been revealed that Nolan has expressed his admiration for the filmmakers in another way: by directing a short documentary, simply titled Quay, about the duo. Nolan will unveil this documentary on August 19 as part of Film Forum’s series The Brothers Quay on 35mm, which will include new 35mm prints of In Absentia, The Comb and Street of Crocodiles. American identical twins working in London, stop motion animators Stephen and Timothy Quay (born 1947 in Norristown, Pennsylvania) find their inspiration in Eastern European literature and classical music and art, their work distinguished by its dark humor and an uncanny feeling for color and texture. Masters of miniaturization, they turn their tiny sets into unforgettable worlds suggestive of long-repressed childhood dreams. These three Quay masterworks, selected by director Christopher Nolan, feature broken pencils and lead shavings in IN ABSENTIA (2000; “a dazzling piece of work” – The Guardian); a porcelain doll’s explorations of a dreamer’s imagination in THE COMB (1991; “most beautiful of their recent films” – The New Yorker); and the nightmarish netherworld of STREET OF CROCODILES (1986; “their crowning achievement” – Film Comment); and for the first time ever, QUAY (2015), Nolan’s new short film revealing the inner workings of the Brothers’ studio. All four films in 35mm. Though Quay is a drastically different and much smaller project that something like Inception or Interstellar, it’s great to see Nolan bringing more attention to the filmmakers by concentrating his efforts on making a movie about them. Here’s hoping the documentary will appear on the Blu-Ray release alongside the rest of the Quay Brothers’ stunning work.